On the Home tab, click the New Slide button in the Slides group, as shown in the following figure. 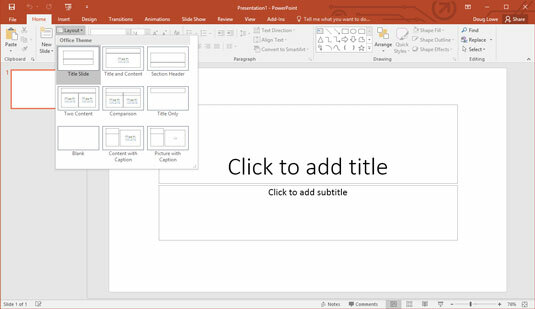 In all three cases, PowerPoint adds a blank slide with a standard layout that includes a title and content area. If you want to choose a different layout, click the Layout button in the Home tab to display the gallery of slide layouts. This pane enables you to pick from several types of slide layouts. 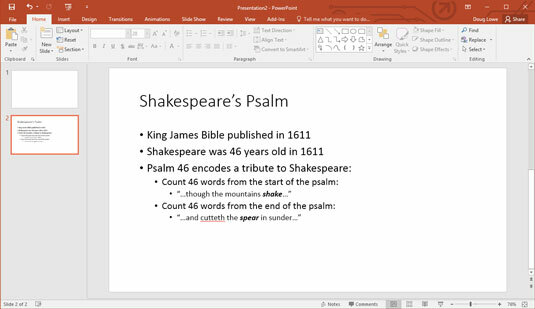 Just click the one that you want to use, and PowerPoint sets the new slide to the layout of your choosing.